As our product at Apartment List continues to evolve, the values powering our product become increasingly important. Users on our platform are often going through a significant life change — and finding every renter a home they love is the Apartment List mission we aim to deliver. As a growing Design team, we’re constantly working to improve that experience. From thoughtful error messages to micro animations, we’re constantly iterating to create the best online rental user experience. As growing company (we’re hiring! ), our product is always changing. Our design principles keep us grounded. We use them as a lens to evaluate the user experience, create a cohesive product experience, and provide clear success criteria for the team. 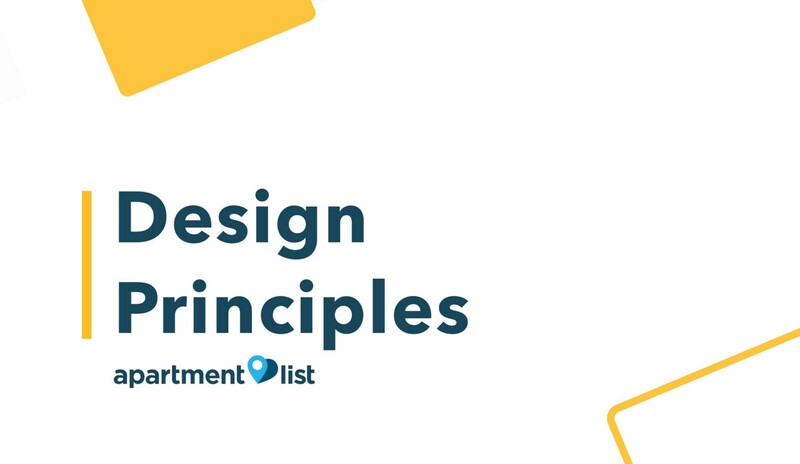 Below is our list of the Design Principles we’ve created, and how the team has put them to practice since their conception. We help find people homes by doing the heavy lifting. We curate research and validate data so you can focus on everything else happening in your life. We are honest and authentic in our approach, and stand by your side from start to finish, providing guidance during the overwhelming and stressful moments, and space when you’d prefer to explore on your own. Finding every renter a home they love is our mission, and we will never relent in that pursuit. Moves often accompany major life events, and these events are not always positive. Because of this, we need create an emotional connection with our users so they feel good as they use our product, while being appropriately delightful and upbeat. From the use of micro-animations, copy choice, to vibrant pops of colors, at some point in time, our product should have you smiling. Finding a home is as much about its feeling as it is about the rent. We use the latest technologies, photocentric design to bring the experience of a home’s feeling to you — all you need is the internet. We create clarity, reduce complexity, and increase productivity through simple, bright, yet bold design. Simplicity does not mean boring or uninteresting; rather, it allows the our renters and landlords to focus on the tasks at hand. We are not afraid of clean negative space, nor do we shy away from being deliberate and direct. Talking about money is uncomfortable and it’s easy to feel like we have to figure it all out on our own. But when it comes to people’s biggest monthly expense — rent — this decision can feel especially isolating. When talking to renters across the United States, people shared the same questions: How much can I actually afford to spend? Will I have enough left over for bills, groceries, student loans? I don’t know how to account for emergencies. How does my budget compare to the rest of the city? Will I have a lot of options, or will I be lucky to find just one? But the strongest sentiment that came across was the feeling of: How am I supposed to know? With the Tireless Advisor Principle in mind, we focused on creating a tool that would help people not only feel less alone when making this important decision, but actually help them be more confident in their choice. 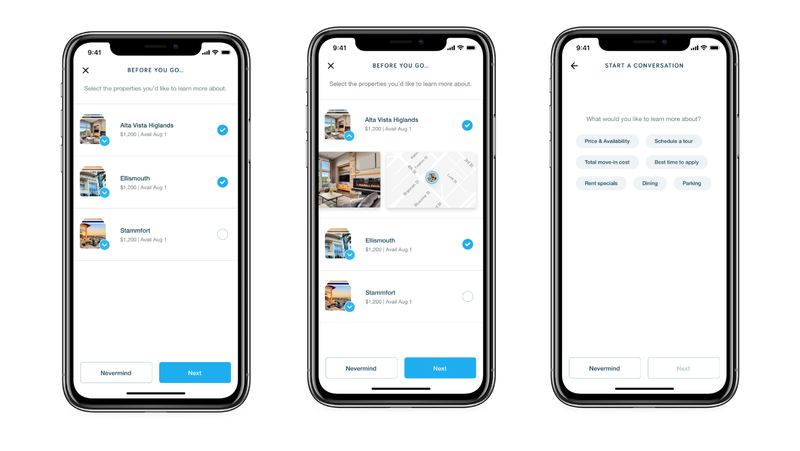 We included inputs besides just income and location because knowing how much money you have after paying your rent, bills, and other monthly expenses is a powerful way to conceptualize the trade-offs in choosing a specific apartment or neighborhood. We wanted to help people visualize the impact raising their budget has on their savings and on their housing options. Most importantly, we wanted to share the knowledge we collect as a company on over-average rent within a city with our users because that’s who it matters most to. Because the best way to reach people is through Google, we needed to make sure it was optimized for SEO. 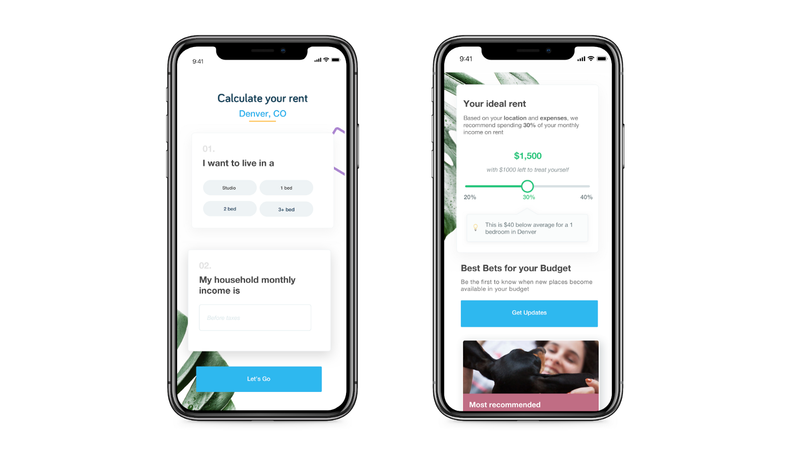 Creating an engaging 2-page experience that allowed people to explore their options and adjust their preferences by clicking “back” and “forward” not only benefited the renter, but also reduced bounce rate, increased time on site, and increased engagement with the page. And because there are so many renters out there that are searching for tools to help them do just this, we were able to increase our search ranking on Google by employing our Tireless Advisor Principle. Because moving can be stressful, we want to create an emotional experience that is delightful, upbeat, and makes our users smile at some point in the process. We do this through use of copy, pops of color, photography, and animation. Starting at the top we’ve added some personalized copy and emojis that change depending on the time of day. Moving down the page you can see that we have incorporated all new photography that adds a fresh, clean look to the page to make it feel a little more modern. Finally, instead of looking at a blank white page or a spinning loader, we created a new loading animation which incorporates pops of color and icons that represent elements of the search experience. When all of these elements are combined, our hope is that users feel welcome, a bit joy, and an experience that is personalized for them. A truly Immersive experience is one that meets users where they’re at and takes them somewhere different. It’s one that dives into the details and attempts to completely transform how one thinks about the task at hand. It’s something we strive to accomplish through our product with both sides of the rental marketplace. We specifically want to highlight how we do this for our clients with an interactive experience called SPARK. 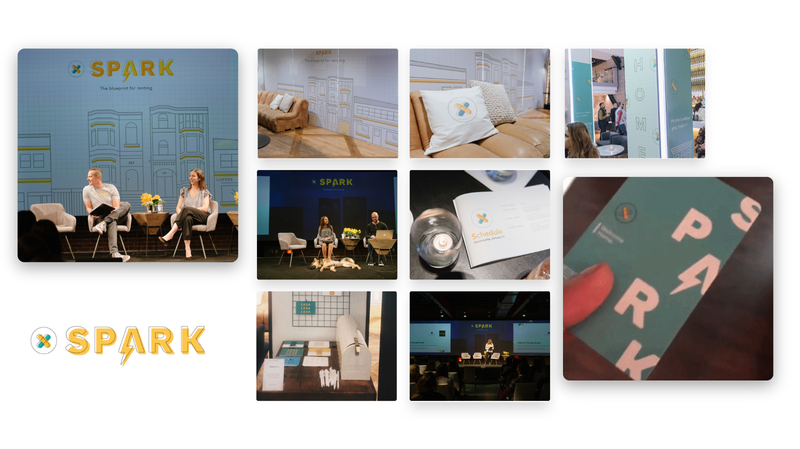 SPARK is our annual gathering for thought leaders in the multifamily industry — founded on innovation, inspired by creative pioneers, and designed to reimagine the rental experience. From curating the right speakers that help challenge how properties think about the industry, to introducing innovative technology that enables multifamily stakeholders to increase their marketing exposure. Completely taking over an entire living space to help them truly feel what we mean when we say we want to partner with them to help find every renter a home they love. Down to the physical takeaways that allow us to find our way into their homes and everyday life, outside of the conference experience. At first glance you may think to yourself that simple is a pretty “simple” design principle. As designers, of course we try to make our interfaces clean, clear, and simple. However, the principle itself has tons of hidden meaning that can make it rather difficult to apply when designing user experiences. One great example of this multifaceted principle can be found in a project we worked on last year: Project Hedwig. Through Project Hedwig, we designed an extremely simple feature that allowed users to quickly build messages with a couple clicks, and send them to multiple properties at the same time. With literally a few taps of their finger they had a well written message prepared and delivered to all of the properties on their short list. The project was a resounding success… or so we thought. The feature radically increased the number of messages renters were sending, but there was a problem; we had made it too easy to send messages, and the intent behind them for renters was not where we wanted it to be. The interface had stripped out a lot of important information about the properties in order to “simplify” the experience. In doing so, we made it hard for a user to differentiate between the properties they really loved vs. the properties that were maybes. It didn’t take long before iterating on a second version of the feature. We decided to provide the user with more information about each property they were messaging. This added more friction to the flow but also increased the intent of each message. Renters could now better compare and choose the properties they really wanted to get a hold of, increasing the quality and intent of the messages for renters, while also creating more custom messages received by our properties. We learned that “simple” isn’t always the cleanest, prettiest, or even the easiest user experience. Put simply, it’s finding the most elegant path for your user to reach their goal effectively. Sometimes this can mean adding more friction, more information, more screens, and more elements to a user experience. Because simple sometimes isn’t the most simple design principle to follow. Here at Apartment List, we're reimagining the rental search process.